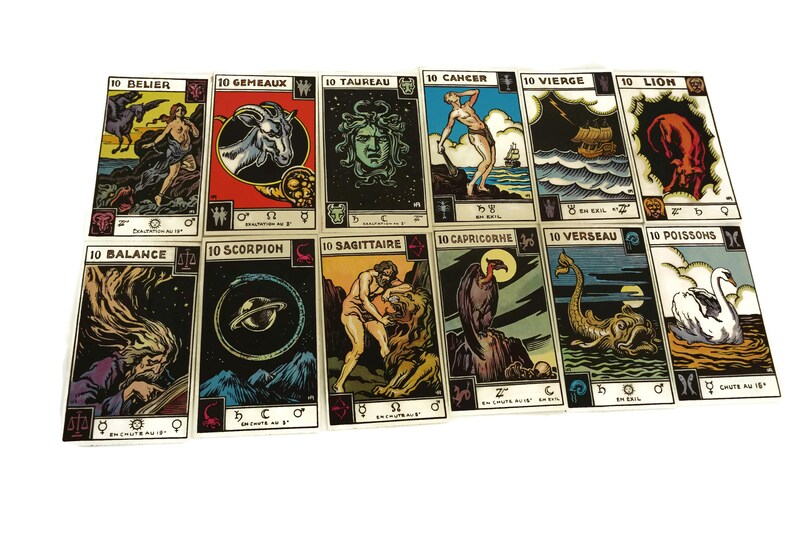 A vintage deck of the famous Astrological Tarot card deck created by Georges Muchery, a French occultist born in the 1800's. 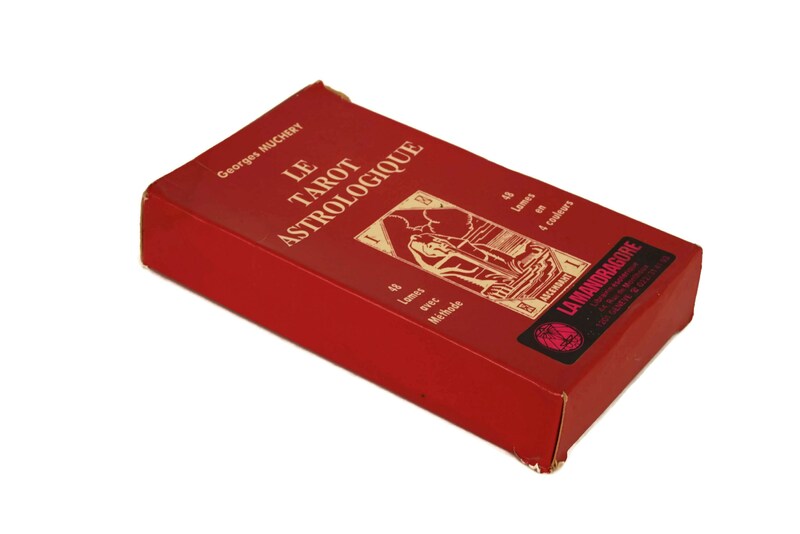 This edition was printed in 1982 and features 48 cards with striking illustrations by the French artist Henri Armengol. 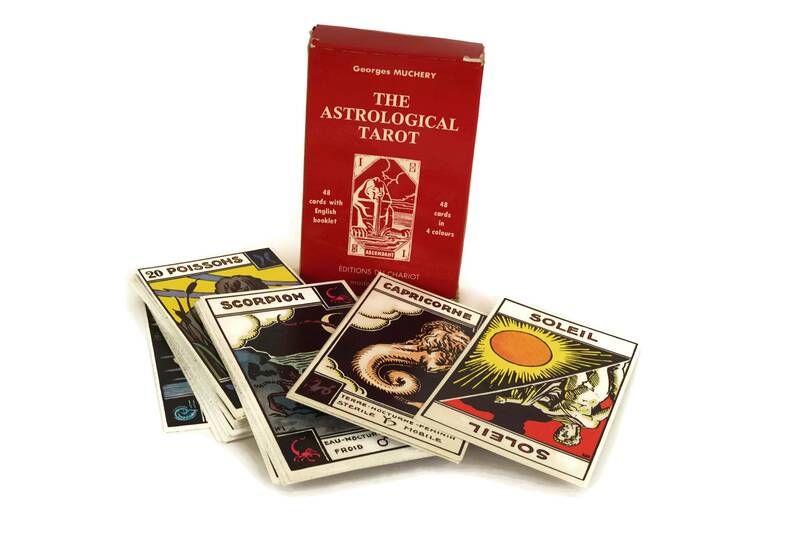 The deck combines elements of traditional astrology with Tarot deck in an attempt to giver a richer and in depth fortune telling and divination experience. 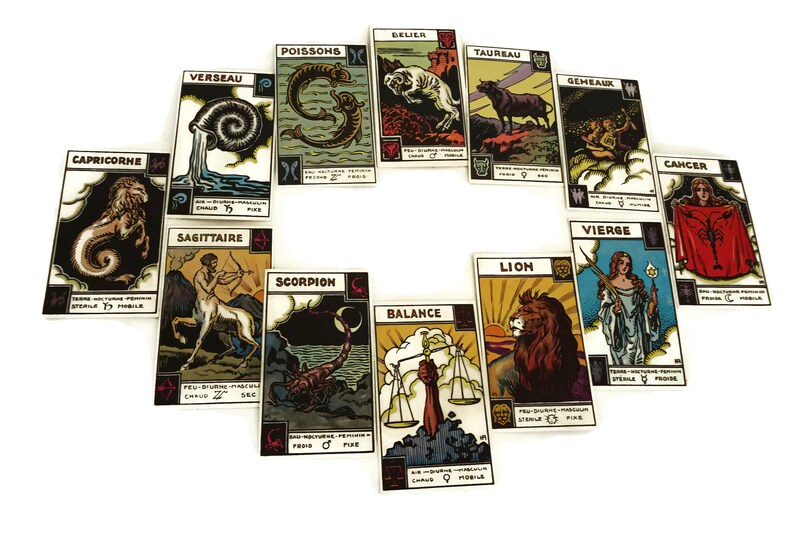 The deck consists of 36 zodiac sign cards with different values as well as 9 planet and star cards and one card each of the ascending node, the descending node and the wheel of fortune. 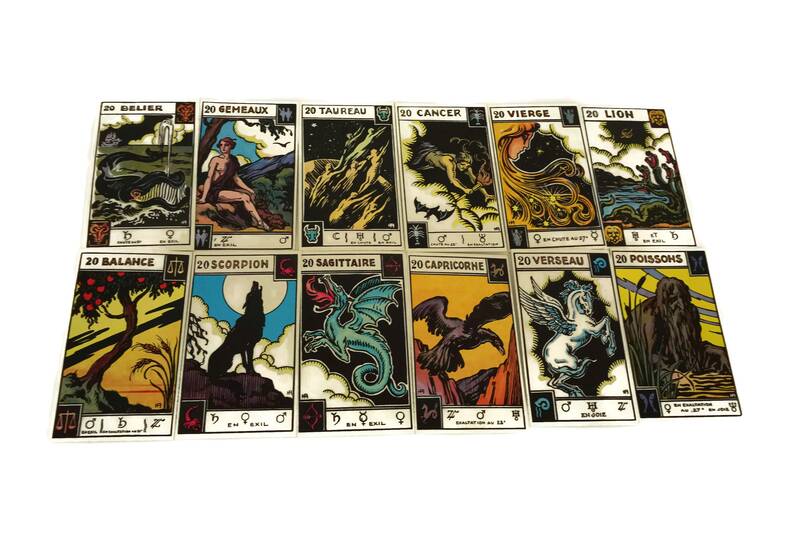 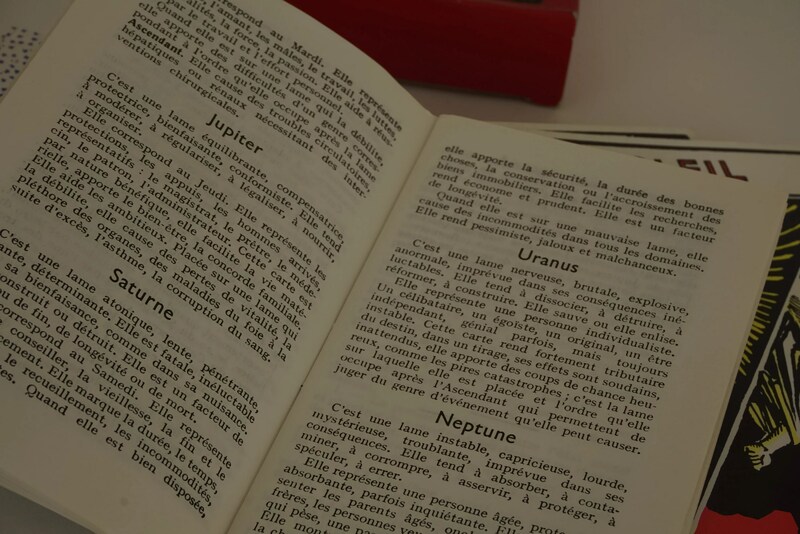 The cards come in the original presentation box with an instruction booklet printed in French. 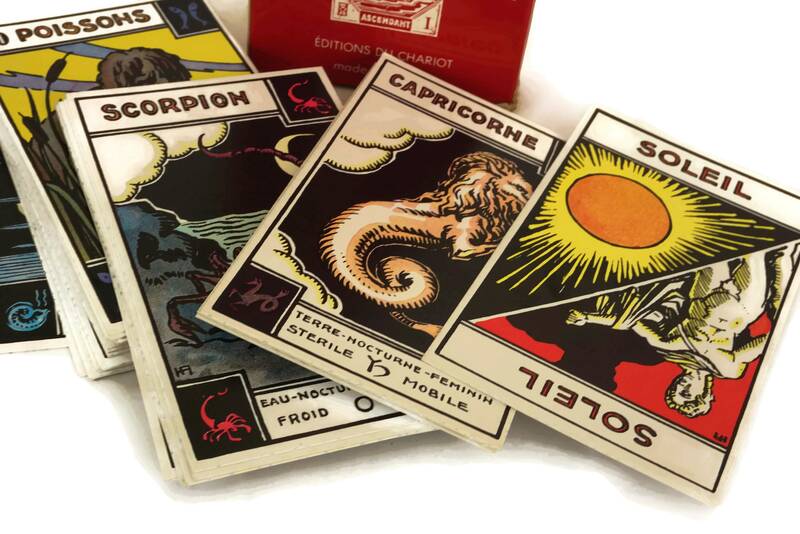 Please note that these cards are vintage pre-owned and have been used. 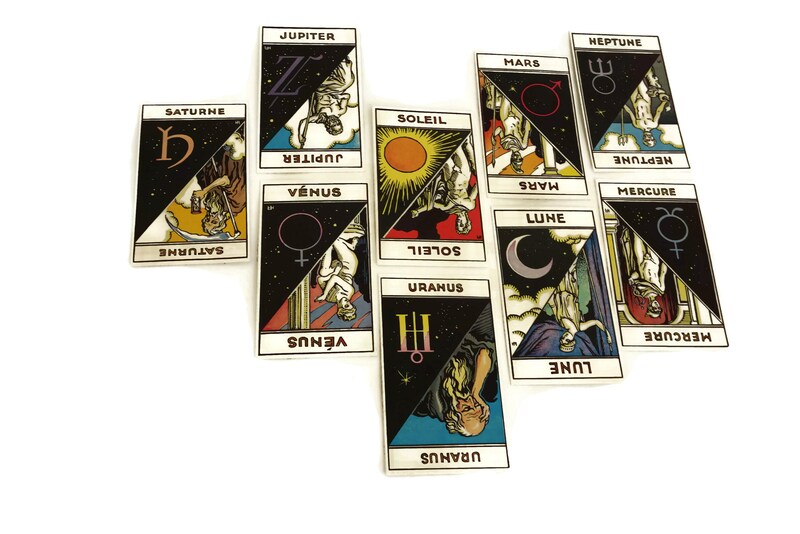 Each card measures approximately 125 mm Long x 75 mm Wide. 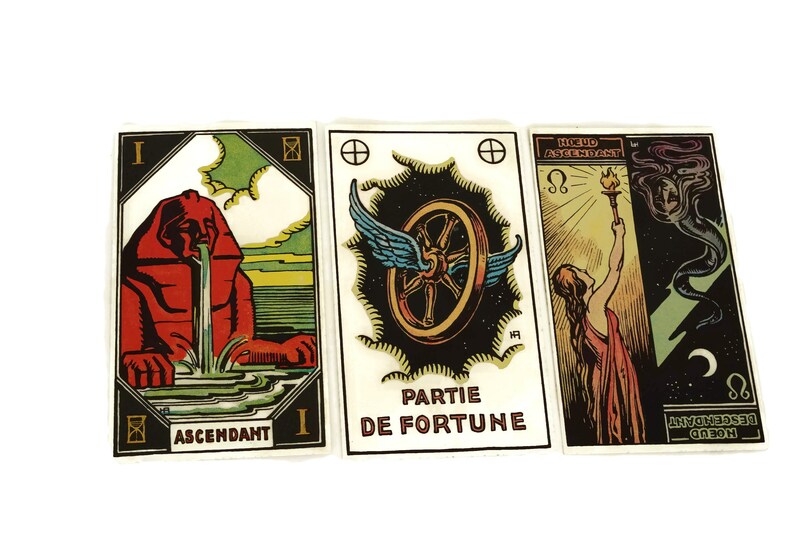 The cards are in very good used condition with some light wear. 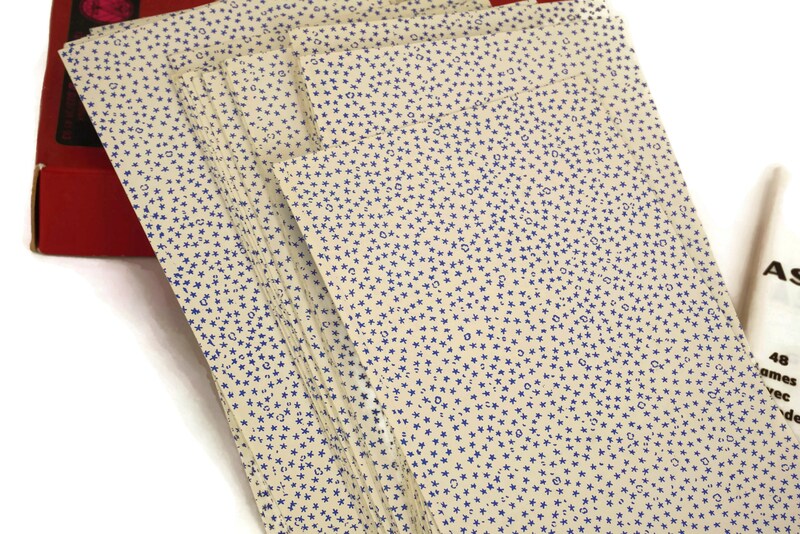 The box is worn and has small tears in places.